Click photo to download. Caption: President Barack Obama and Israeli Prime Minister Benjamin Netanyahu meet in the White House on March 5, 2012. Credit: White House photo. In the last several months, the Obama administration has been on its best behavior toward the State of Israel. With the upcoming presidential election dominating everything that happens in Washington, the president has been particularly keen to debunk the idea that he is anything but a devoted friend of the Jewish state. After three years of unceasing tension and bitter disputes about settlements, Jerusalem and borders, President Obama has more or less abandoned his previous line about the necessity of pressuring Israel to make concessions to the Palestinians and concentrated instead on the nuclear threat from Iran. This delighted Jewish Democrats who were dismayed by the administration’s previous attempts to distance itself from Israel. Those Democrats can also point, with justice, to the fact that the security alliance between the two countries has been continued and even strengthened under Obama. These gestures are, Obama hopes, enough to keep any leakage in the normally solid Jewish vote for the Democrats to a minimum this fall. But those who assume that Obama’s election year conversion will carry over into a second term may be in for an unpleasant surprise. As the president told Russian President Dimitry Medvedev in an embarrassing “hot mic” moment at a recent summit, “This is my last election. After my election I have more flexibility.” Unfortunately for friends of Israel, that “flexibility” will probably apply to more than negotiations over missile defense. There is good reason to believe that the president’s behavior in his second term will revert to the pattern that characterized it before the charm offensive began. Even now, when the president is being so careful to avoid a repeat of his past spats with Netanyahu, there are clear signs that the disconnect between this administration and Israel’s government has not been repaired. On the key issue of Iran’s nuclear program, friends of Israel have been gratified by the president’s tough rhetoric and willingness to finally tighten sanctions on Tehran. But questions remain about what Washington will do once, as is almost certain, the “window of diplomacy” that Obama has opened closes without the Iranians giving in. While the administration’s public posture has been supportive of Israeli self-defense, in private officials are grousing about the fact that the president’s harsh rhetoric about Iran’s nukes is preventing them from creating a diplomatic “solution” that would satisfy Tehran and obviate the need for sanctions that might impact oil prices and the global economy. These officials have every expectation that next year they will be given the room they need to craft a compromise that might even encompass a containment policy the president told AIPAC he won’t consider. They have also done their best to undermine Israel’s own diplomatic efforts to gain allies in central Asia in order to threaten the Iranians. The administration’s leak of an agreement by Azerbaijan to allow Israel access to air bases on Iran’s northern border was an obvious effort to maintain the Jewish state’s isolation and keep it solely dependent on the U.S. Elsewhere, even as the Palestinian track was put on the shelf, there were indications of the way that Obama has undermined Israel’s position on Jerusalem’s status. The statement by State Department spokeswoman Victoria Nuland last week—that seemed to indicate Obama believed the Palestinians had a veto even over whether Israel could even call the western part of Jerusalem its capital—was a reminder that Obama had staked out a position on the city that treated Jewish life there as almost indistinguishable from the most remote West Bank settlement. In evaluating the president, it should be understood that the Republicans are not a lock to be an improvement. It should be remembered that during George W. Bush’s second term, he did much to set up the current impasse with the Palestinians and vetoed an Israeli preemptive strike on Iran. But anyone who assumes that the current era of good feelings between Obama and Israel will continue beyond November—once he need not fear the rejection of Jewish voters and donors—is in for a sharp shock. Click photo to download. 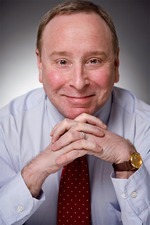 Caption: Jonathan Tobin.JNS Columnist Jonathan S. Tobin is senior online editor of COMMENTARY magazine and chief political blogger at www.commentarymagazine.com. He can be reached via e-mail at: jtobin@commentarymagazine.com. Follow him on Twitter at https://twitter.com/#!/TobinCommentary. Posted on April 1, 2012 by Jonathan S. Tobin/JNS.org and filed under Israel, Opinion, U.S..